I have had more than a few conversations with people about destiny. No, not what you think the future holds for you in a way of career and family, but what eternity holds. What happens to you when you die? Most people have told me they believe in heaven. Then I ask the million dollar question…. How do you know that is where you are going? Most common answer. “I am a good person”. Is this how we get to heaven? Do we need to be “good people”? 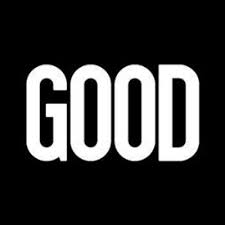 How do we know what “good” is? Do I use our own standard of “good”? Do I use someone else’s standard of “good”? Or do I use God’s standard of “good”? Some will use their own standard of “good”. I recently heard a Tim Keller sermon in which he made the point that if someone uses their own standard of good and took a tape recorder and put it around their neck, then at the end of the day played back everything they said, they could not even live up to their own standard of “good”. I agree. I know me and know I couldn’t do it. So let’s look briefly at someone else’s standard. If I can’t live up to mine how can I live up to theirs? Unless theirs is so low that they allow me to live how I want. This may be so they can live without the guilt of not living up to their own standard. Now let’s look at God’s standard. How do we know God’s standard for good? We have His Word. We have the bible. We have in the bible the commandments given to Moses. I will not list them but I will test myself against a few to see if I live up to the standards God’s wants me to live by. Have I ever taken the Lord’s name in vain? Have I used it as a curse? Yes! One commandment broken. Have I ever dishonored my parents? Yes! Strike two! Have I ever taken something that wasn’t mine? Maybe even something small like a pencil? Yes! Strike three! Have I ever been angry with someone and not forgiven them? Yes! Jesus says this is like committing murder in your heart. Strike four! Have I ever looked at a women with lust? Yes! Jesus says if you look at a women with lust you have committed adultery in your heart. Strike five! Let’s stop at five. I can keep going because I have broken them all. There is no one who hasn’t. So what does this mean? We can’t live up to our own standards. We sure can’t live to God’s standards. He will judge us. If God is just, He will give us what we deserve. He will not weigh the good we have done against the bad. That would not be just. That would be like if a person commits murder and goes to the judge and says “judge, look at all the good I did. It must outweigh the bad.” Would he be a just judge to let the murderer go? Here is the GOOD NEWS!! Here is the GOSPEL!!! We have someone who took our punishment for us. 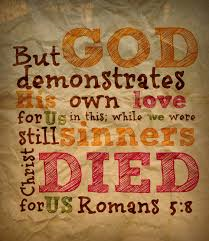 God sees our sins and says “guilty”. My punishment is death. But, God came down and became a man in the form of Jesus. He was fully man and fully God. He lived that perfect life that God commands. He was tempted as we are tempted. He did not sin. Then He took a sinners punishment being whipped with a cat of nine tales being lashed to the bone. He was spit on and mocked made to wear a crown of thorns. He took my cross up Cavalry and had nails driven into His wrists and His feet and before He died said “It is finished.” He atoned for our sins. Now we can repent and put our faith in Him for our forgiveness. We no longer have to be slaves to sin. We can be free as slaves to Jesus Christ. I do not write this to make you feel bad. I do not write this to lift myself up in self righteousness. I struggle with sin everyday! I am not perfect but I am being made perfect through Jesus Christ. I am a wretched sinner in need of the Savior. My hope is that you think about these things: “Am I good? By what standard? Can I live up to God’s standard on my own? Why did Jesus die? Can I put my faith in Him for taking my punishment and repent? Can I pick up my cross and follow Jesus? I know this is a popular Scripture but it is truth. My prayer is always that you are “whoever”. Saved by grace alone, through faith alone, through Christ alone, by God alone.